Preheat oven to 325 degrees fahrenheit. Spray the pan with a non-stick spray. 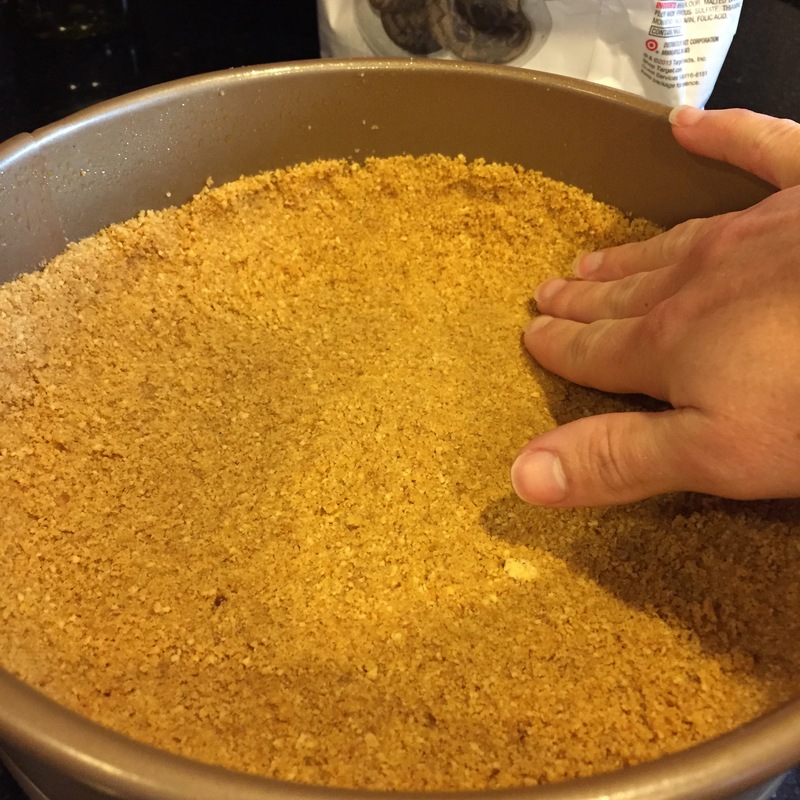 To make the crust, combine the graham cracker crumbs and salt in a bowl. Pour in the melted butter and stir until moistened. Press the crumbs firmly against the bottom and sides of the pan. Set aside. For the filling, combine sugar, cocoa powder and salt in a bowl. Pour in the melted butter and chocolate and stir with a wooden spoon until combined. Beat in the vanilla and eggs, one at a time. Stir in flour until just moistened. Batter will be thick. 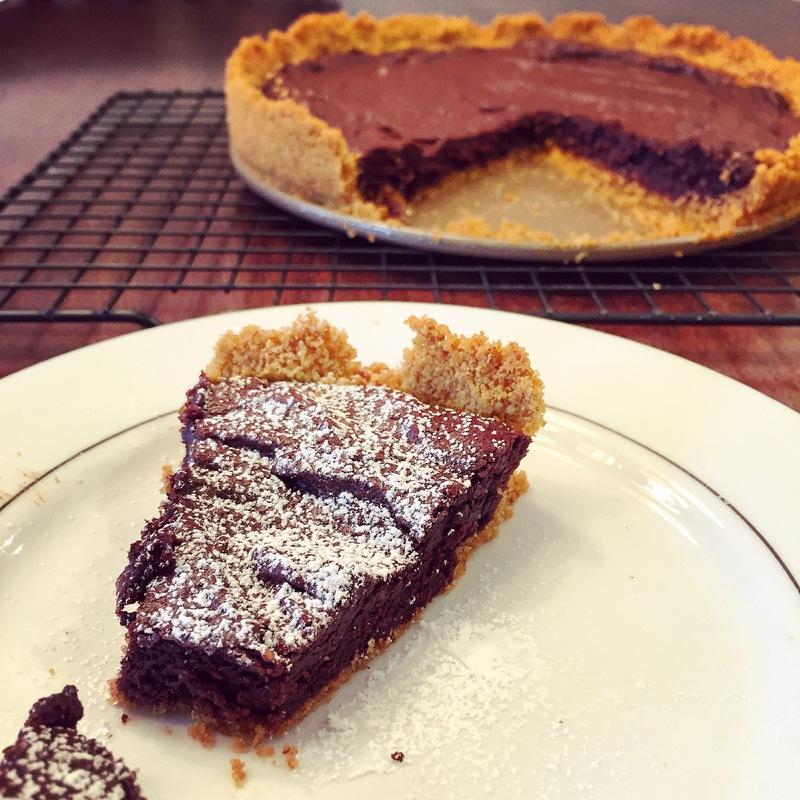 Carefully spread the batter over the crust and smooth out with a spatula or back of a spoon. Bake for 25 minutes. Allow to cool completely on a wire rack before releasing the sides of the pan. 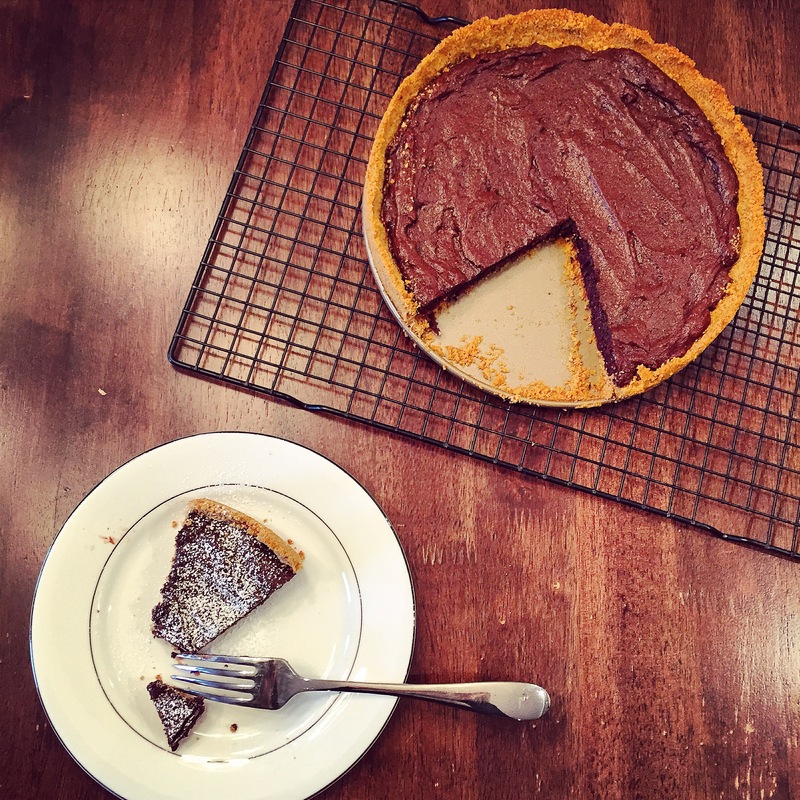 Top with powdered sugar, whipped cream, or even toasted marshmallows to make it a s’more pie! Slice and enjoy!